Here is a photo of Juan Carlos’s and son Josh’s 1970 Chevelle LS6 on delivery day after a no expense spared nut and bolt frame off restoration. 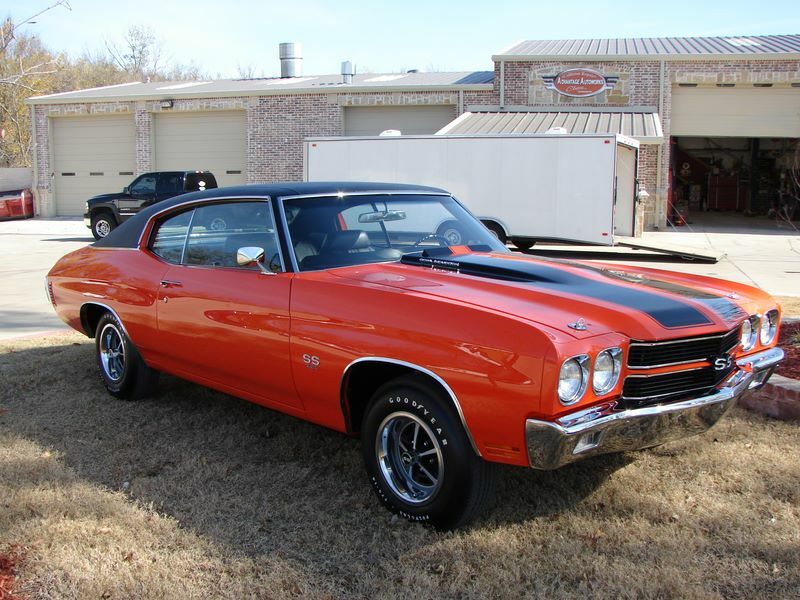 This Chevelle won “Best in Class” and “Outstanding Chevrolet” at it’s first and only car so so far. The car is 1 of 4 special factory order LS6 cars with Hugger Orange paint. Juan Carlos and Josh already have another ’70 SS454 LS6 in the works that will actually get driven!